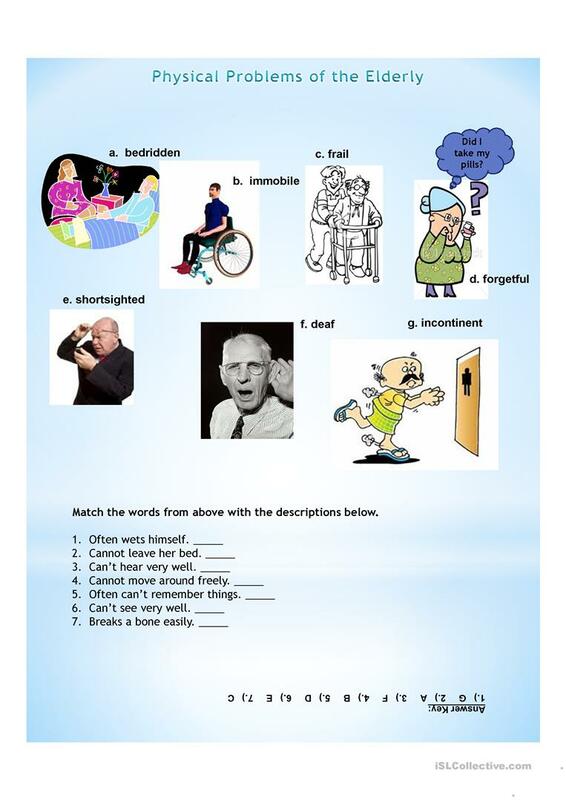 Vocabulary Building and Pronunciation Practice describing physical problems of the elderly. This printable, downloadable handout is recommended for adults at Elementary (A1) and Pre-intermediate (A2) level. It is aimed at revising Adjectives in English, and is useful for enhancing your learners' Listening, Spelling, Speaking, Reading and Writing skills. It is focused on the vocabulary topic of Health, going to the doctor.